To say that Beyoncé slayed Coachella is a massive understatement. 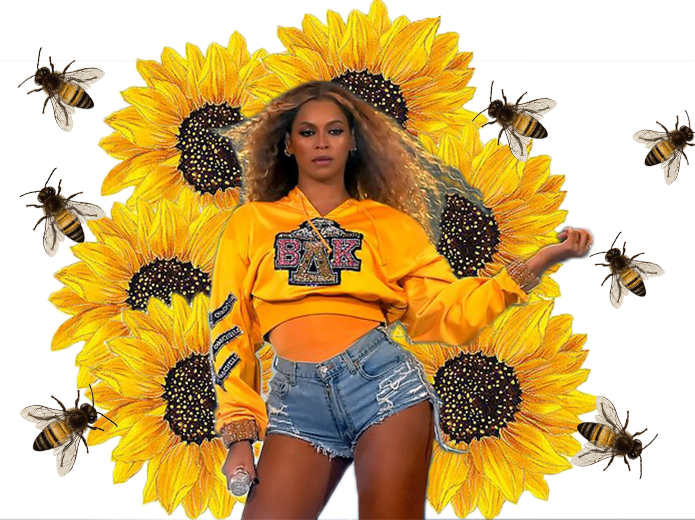 Not only did Queen Bey make history by being the first Black female headliner of the festival, hit every note and dance move during her two-hour set, and reunite the beloved Destiny’s Child, she made an equally-epic fashion statement. In encrusted leather and a headdress fit for Egyptian royalty. Sweating in the desert? Not B. Jamming out in a preppy yellow sweatshirt and denim cutoffs. Belting it out in a mesh top emblazoned with a Egyptian royalty-meets Black Power-meets beehive crest. I don't think we can handle this. For their reunion Destiny's Child paid homage to their "Survivor" days in matching camo print.